Hey hey friends! I am sharing a super cute FREE printable with you today! Below you can download and print it in either 8×8 or 8×10 size. I found my barn wood frame at Hobby Lobby! 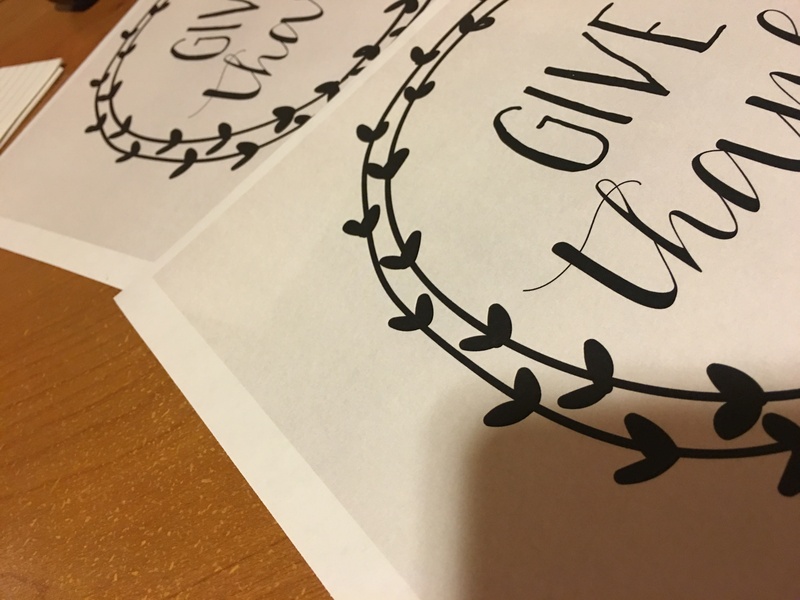 Check out how cute my Give Thanks Free Printable turned out! Just click the links below to save and print! This is the cutest printable! I can’t get it to upload to any printing sites, though. I keep getting a message that it’s an invalid file type. What am I doing wrong? Is this printable free for personal or commercial use? Did you use the 8×10 photo frame or picture frame with the back? I’m just wondering if they look different. It comes with the back that allows you to stand it on a table. Hope that helps! Cute printable! Where did you get the frame?